If you are a regular reader of mine you may recall the pumpkin explosion that happened on the blog as soon as fall was here last year. Not that there is anything wrong with that, but apparently some people don’t love pumpkin. Can you believe that? I was as shocked as you are. I do not know any of these people myself but apparently they do exist and spew their anti-pumpkin propaganda all over social media. Okay, maybe I am slightly exaggerating here. 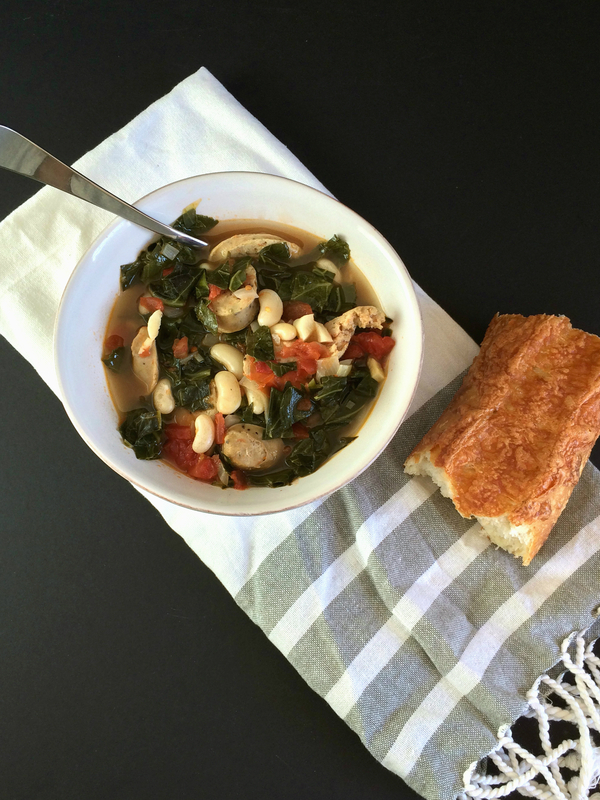 I decided instead of smacking you all in the face with pumpkin spiced love again, I would share another fall favorite – soup! 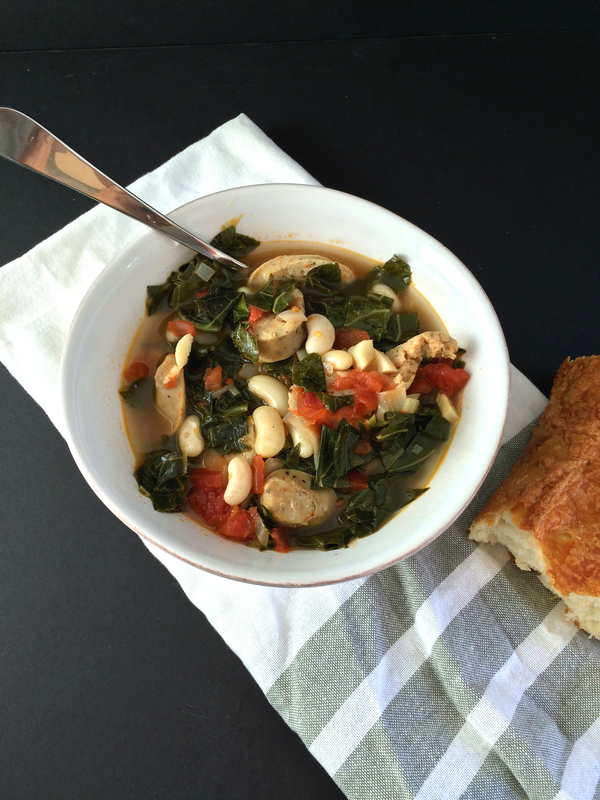 This hearty soup was born out of my weekly use-up-what’s-in-the-fridge attempt. I opened the fridge door and stared for a solid two minutes before sighing and contemplating pizza for dinner. My husband was home, we were both starving and pizza magically appeared at our door! 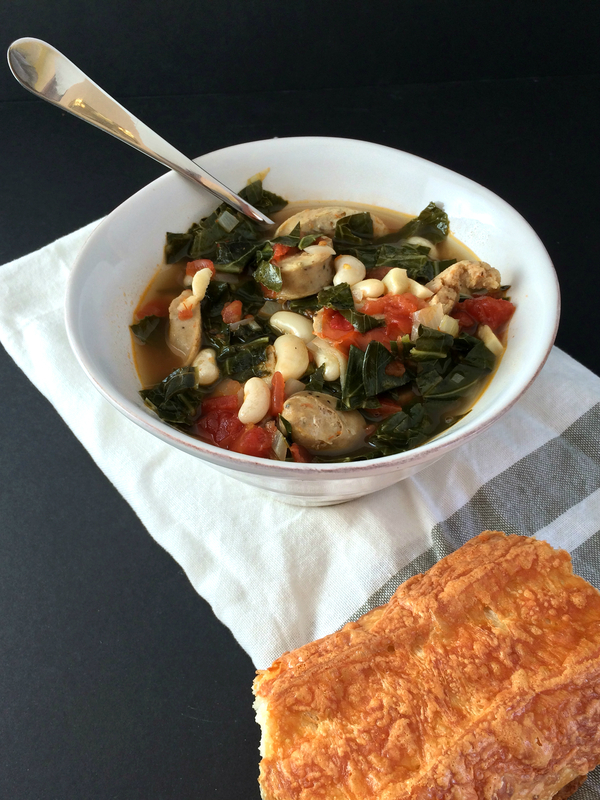 Later that night while I was getting ready for bed I contemplated what I should do with the fresh cannellini beans and collard greens that were just sitting in the fridge waiting to be turned into something delicious. I couldn’t be bothered to go to the grocery store and pick up anything so I needed to use what we had. I remembered I still had a couple quarts of homemade chicken stock in the freezer, some Italian sausage and of course diced tomatoes are almost always in my pantry. It was cool outside and overcast so soup was the perfect meal. 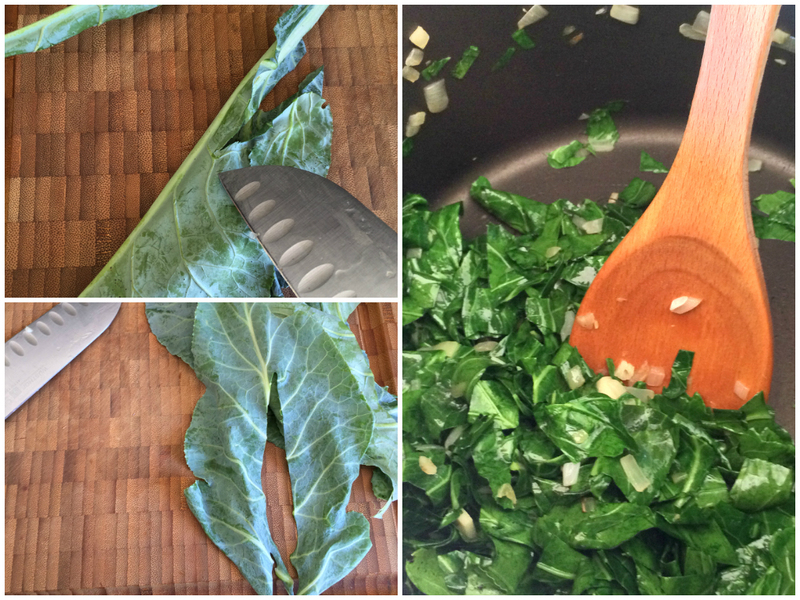 Note: You want to discard the stems of the collard greens because they are tough and woody. I find it easiest to fold over the leaf and cut it out as shown in the above pictures. Also, if you are not using fresh shelled beans you will need to soak dried beans overnight before cooking. If using canned beans, rinse and drain well. Do not add them to the pot until the last 20 minutes of cooking. Rinse and dry collard greens. Remove the stems and roughly chop. Set aside. In a large stock pot over medium heat sauté olive oil, onion and garlic until soft, about 10 minutes. Add collard greens, salt ad pepper. Sauté for 5 minutes. 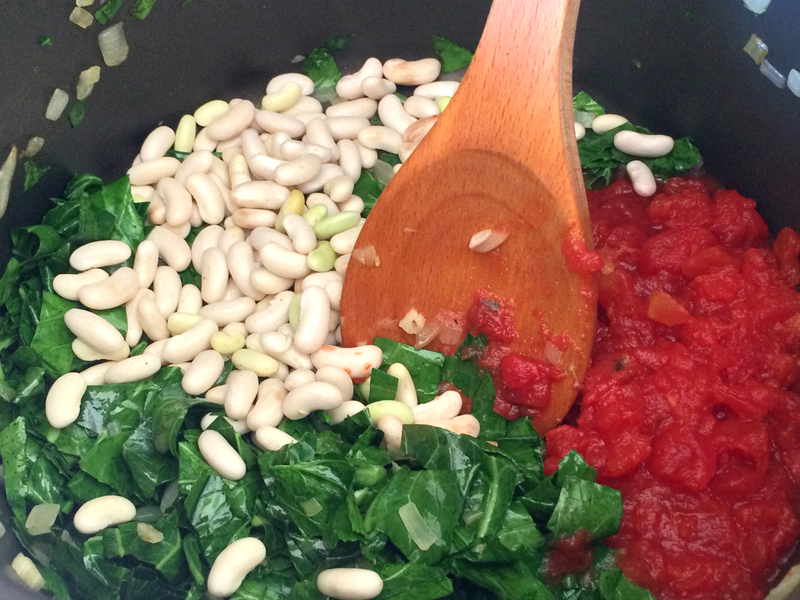 Add diced tomatoes, beans, sliced sausage and chicken stock. Simmer covered, stirring occasionally for 40-50 minutes or until the beans are soft and cooked through. This entry was posted in Dairy Free, Fall Favorites. Bookmark the permalink.